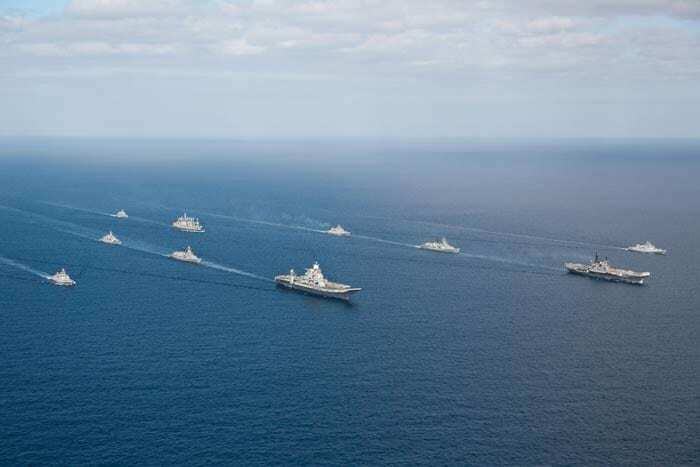 The much-awaited $2.3 billion ship is being escorted by other ships of India's western fleet and is headed to the Indian Navy's base at Karwar on the western coast. 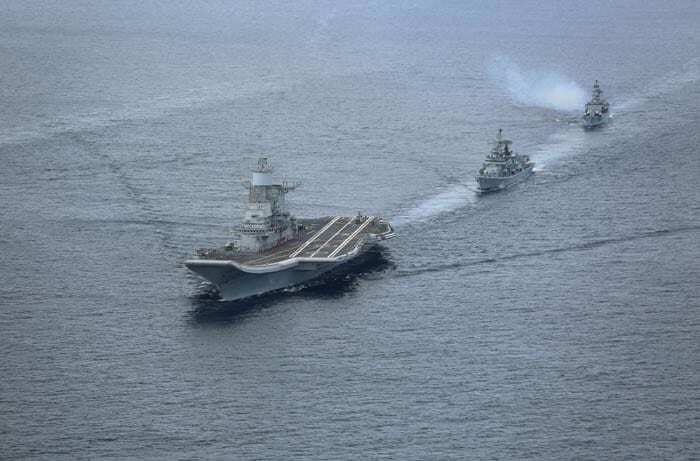 As the big ship entered the Indian Navy's area of operation in north western Arabian Sea, it had for the first time, the older and smaller aircraft carrier, INS Viraat, alongside it on Saturday. 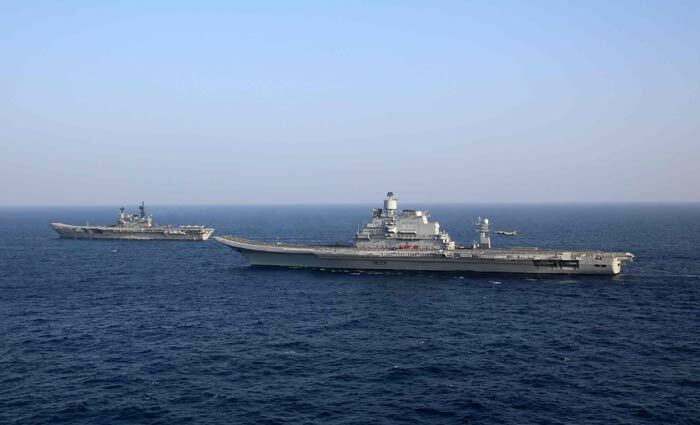 Throughout its long journey INS Vikramaditya has been accompanied by INS Trikand, a Talwar class frigate, INS Delhi, a Delhi class destroyer, and INS Deepak, the fleet tanker. 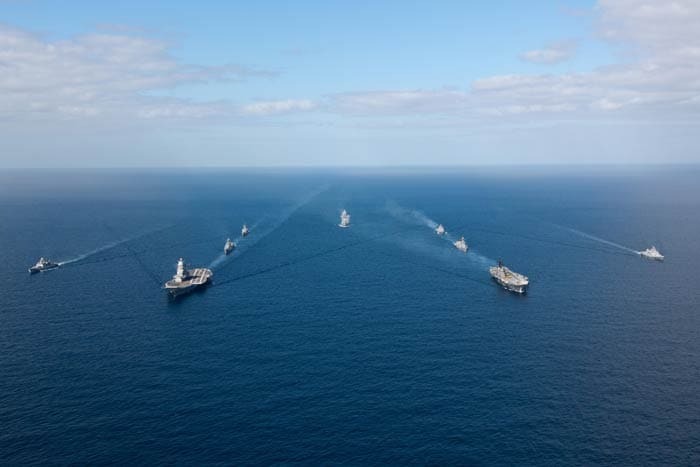 Fleet commander of the Western Fleet, Rear Admiral Anil Chawla, led the flotilla of the Western Fleet, that also comprised INS Viraat, besides two Delhi class destroyers, three Trishul class stealth frigates, a Godavari class frigate and a couple of offshore vessels. 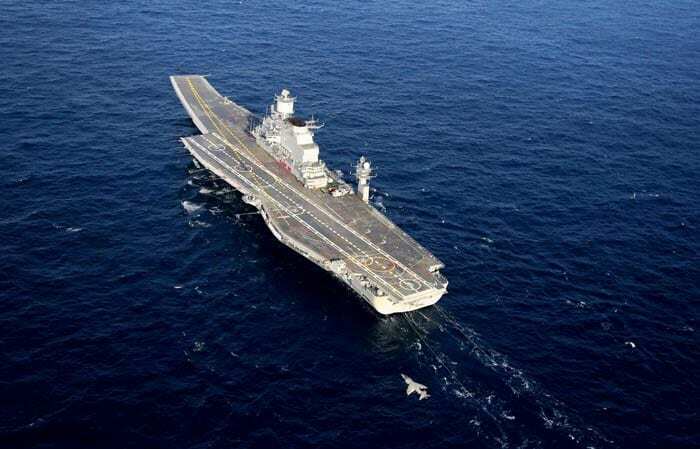 INS Vikramaditya, which was commissioned into the Indian Navy on November 16 at the Sevmash shipyard in North Russia' Severodvinsk, is scheduled to reach its home port at Karwar in Karnatakain a week. The aircraft carrier is then expected to begin its weapons and air fleet integration. The air wing consists of 30 MiG 29K aircraft and six Kamov helicopters. The MiG 29Ks would provide a significant boost to Indian Navy with their range of over 700 nautical miles, extendable to over 1,900 nautical miles with mid-air refuelling, and an array of weapons like anti-ship missiles, beyond visual range air-to-air missiles and guided bombs and rockets. 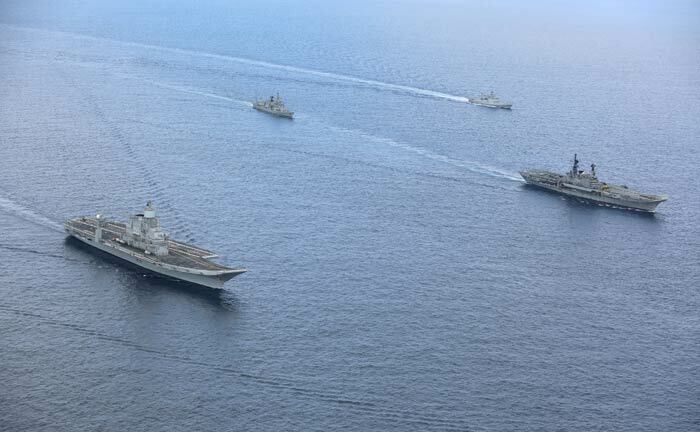 INS Vikramaditya is 284 metres long and 60 metres high - that's about as high as a 20-storeyed building. The ship weighs 40,000 tonnes and will be the biggest and heaviest ship to be operated by the Indian Navy. The warship can sail nearly 1300 kilometres a day and can operate for 45 days without replenishment. It will be manned by about 1600 people. Just the crew is expected to use over one lakh eggs, 200,000 litres of milk and over 16 tonnes of rice every month. INS Vikramaditya is a Kiev class aircraft carrier which was commissioned by Russian Navy in 1987 under the name Baku. It was later renamed as Admiral Gorshkov and last sailed in 1995 in Russia, before being offered to India. India agreed to buy it in 2004 for $974 million. The cost kept shooting up as Russia delayed the delivery by over five years. India is also building its first indigenous aircraft carrier, the INS Vikrant, in Kochi, which is expected to join the navy in 2018-19.